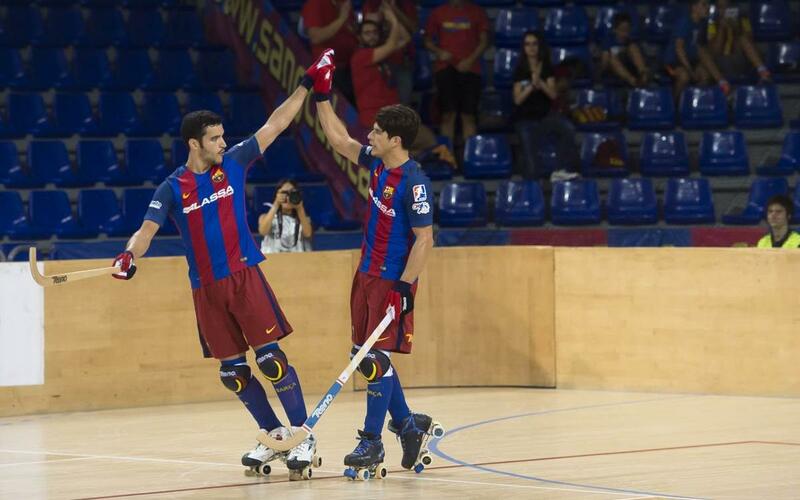 The Barça Lassa roller hockey team treated their fans to a goal feast at the Palau Blaugrana against ICG Software Lleida. Ricard Muñoz's men, have now won both their games this season. Having struggled to open the scoring, they overcame the hurdle and managed to score seven past the team from Lleida. Matías Pascual and birthday boy, Pablo Álvarez, starred with two goals apiece making this a comfortable opening home fixture of the season. Lleida came into the match looking to cause problems for the home team but the Catalans responded in style. The night turned out to be an enjoyable one for Barça as they combined some impressive attacking play with a solid defence, epitomised by Aitor Egurrola's assured display in goal. Barça Lassa's perfect start to the season continues after an impressive display.